The Caxton is a basic simple design. All three bedrooms are a good size and have built in robes. For the budget minded this will be a great starter for the first time investor and first time buyer. Move in now and extend onto later. It has been designed as an alternative to a transportable home with the finish of the home being far more attractive and better quality built. It will be more economical to build rather than buy and renovated at this price. 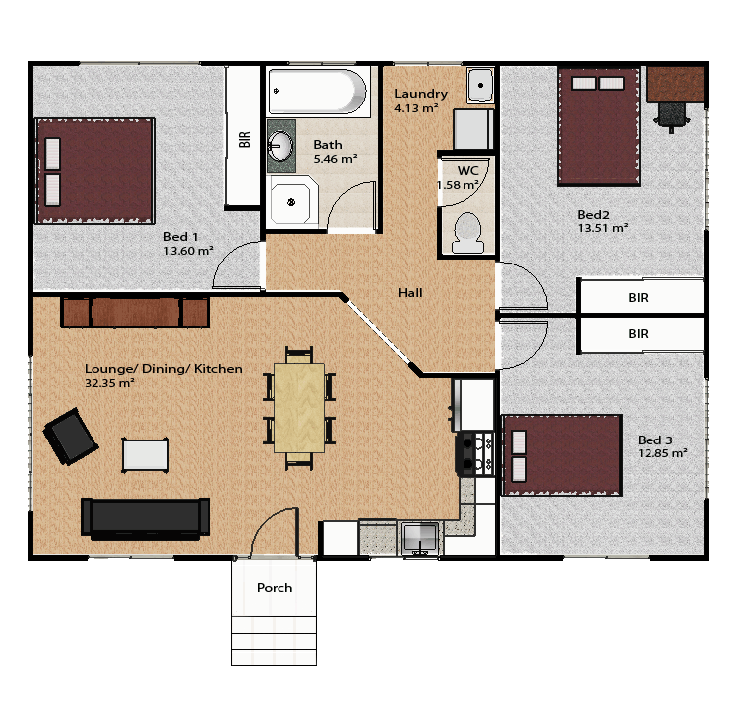 Compare the specifications of this home to the transportable alternative and older homes. You will be surprised at the value of this home, we were.